Hypnosis can help you overcome panic attacks because it can be used to teach the mind and brain to deal with the root cause of the attacks in an effective way. The mounting and seemingly overwhelming feeling of anxiety, dread and even terror can be triggered by any number of things, for example a place or situation which reminds you of some deeply unpleasant experience in your past, but the actual cause of the "trigger" going off lies within the subconscious mind and hypnosis is one of the best ways of addressing and resolving these deep rooted issues. These attacks generally seem to last from a few minutes up to around 15 - 20 minutes. Physical symptoms include breathlessness - sometimes severe - heart palpitations, trembling, perspiration, sometimes nausea or dizziness and less often feelings of either numbness or tingling in the extremities. It may differ from individual to individual, for example a few people also experience headaches and various forms of muscular pain or discomfort. One of the most unsettling things about this is that an attack can occur anywhere, walking down the street, in a supermarket, on public transport and, perhaps most dangerously, while driving. Once the attack has taken hold and got underway, the symptoms develop rapidly and the experience usually peaks within a few minutes and then begins to subside, though it can last longer. Some people only ever have one attack and never experience it again. However with some others the initial attack seems to lay the groundwork for a recurring series of attacks which can happen with varying frequency, ranging from once every few days to once or twice a year. Frequent or recurring attacks are referred to as panic disorder. If you've only ever experienced an attack once and a) it was a long time ago and b) you're sure and confident within yourself that you have no on going problem with anxiety, then you have nothing to be concerned about. However if you've had two or several then your subconscious has become conditioned to reacting in this way to some specific situation or other and causes or triggers an exaggerated form of the "fight or flight" syndrome to occur. Getting your subconscious to change its "behaviour" in this respect can only be done by changing/removing the deep seated thought processes that the original anxiety springs from, and hypnosis is a tool ideally suited for this purpose. Hypnosis is a powerful and effective way of reprogramming the subconscious in such a way that your brain relearns that the places, situations or whatever which initially brought on the panic attacks actually represent no threat to you and are not in any way dangerous for you, leaving you not only able to pursue your normal activities without worrying about having another attack, but also more generally relaxed and at ease. 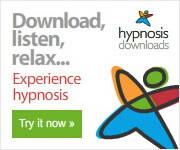 Following are details of audio hypnosis downloads created with the specific purpose of dealing with and neutralising the drivers behind these attacks.